If you’re trying to pack ’em into a concert hall for a choral concert, the usual course of action involves programming a warhorse, preferably one with a big orchestra. Carmina Burana. Beethoven’s 9th. A requiem by Verdi or Mozart. 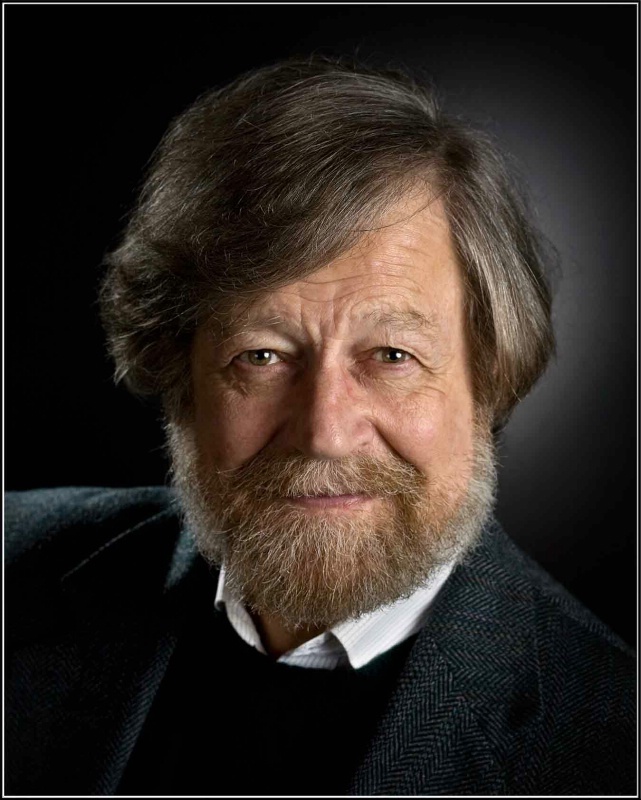 The Los Angeles Master Chorale has an alternate formula that works just as well: program something written by Morten Lauridsen. 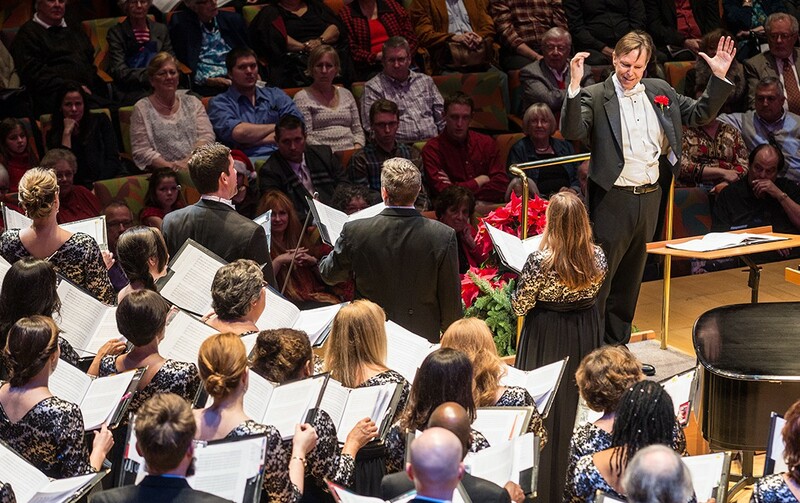 It’s a formula that dates back twenty years ago to December 1994, when the LAMC under their former Music Director, the late Paul Salamunovich, presented the world premiere of the composer’s setting of O Magnum Mysterium. If ever there were such a thing as an “instant classic,” this was it. In the years that followed, Salamunovich and the LAMC would perform many of his older works — Mid-Winter Songs, Les Chansons des Roses, Madrigali — as well as offer more world premieres of new works such as Lux Aeterna and Ave Maria. Since Grant Gershon has become Music Director, the adoration for Lauridsen and his music has continued to grow; last season’s all-Lauridsen concert was a veritable love fest. Despite that, O Magnum Mysterium continues to be the most beloved of all his compositions. So it was only fitting that for one of their concerts during this past holiday season, Mr. Gershon and the LAMC decided to commemorate the 20th Anniversary of that concert by making four settings of O Magnum Mysterium — by Vittoria, Poulenc, Matthew Brown, and yes, Lauridsen — the centerpiece of a collection of other a cappella Christmas works. It’s the kind of music that allow this conductor and choir to show off their superb technical and artistic skills, and this particular evening was a sterling example of them. The reduced ensemble (about half the LAMC’s full complement of singers) sounded as taut and clean as ever, and Mr. Gershon led them in precise yet fluid accounts of all the pieces. Members of the Master Chorale contributed many noteworthy solos. They made familiar works like the Vittoria O Magnum Mysterium, Lauridsen’s O Nata Lux from Lux Aeterna, and Gabrieli’s Magnificat for Eight Voices sound fresh. Franz Biebl’s Ave Maria, Jan Sandström’s Lo, How a Rose E’er Blooming, and especially Eric Whitacre’s Lux Aurumque were stunningly beautiful (note: the LAMC is devoting half of a concert later this season to Mr. Whitacre’s music; you should go if you can). Mr. Gershon and company brought other extended Master Chorale family members and their compositions into the mix too. As I Looked Out by Shawn Kirchner, LAMC tenor and current Composer-in-Residence, had rich textures and beautiful passages that made it the most memorable of the bunch. Mr. Brown, another tenor in the ensemble, created a reasonably interesting O Magnum Mysterium of his own. Ariel Quintana, former LAMC Associate Conductor, was emotional after hearing an excellent rendition of his Three Christmas Motets. Korean composer Hyunchul Lee has a local champion in Chung Uk Lee (bass/baritone in the LAMC and conductor/director of the Los Angeles Chamber Choir), and his Jajang, jajang, Ahgi Yesu demonstrated that this attention was deserved. If I were to nitpick a bit, the performance of Poulenc’s Four Motets for Christmas was good but with some moment or two of rough blend. Perhaps it was because it was the first work after intermission to be sung and the Master Chorale needed some time to settle back into their groove. Perhaps it was because everything else was so done so impressively that these relatively minor bobbles stood out more than they should have. Regardless, it didn’t prevent me and others from enjoying it. Yet with all of the a cappella Christmas music on tap for the night, this night was ultimately about Lauridsen’s O Magnum Mysterium, and in this, Mr. Gershon and the Master Chorale did not disappoint. This particular performance was noteworthy for its airiness, with the conductor eschewing the LAMC’s usual male-centered sound for a more even balance to go along with flexible pacing. it was different than regular attendees may be accustomed to from this group, but no less touching. Tags: Ariel Quintana, Biebl, Eric Whitacre, Gabrieli, Grant Gershon, Jan Sandstrom, Morten Lauridsen, Poulenc, Shawn Kirchner, Tomas Luis da Vittoria. Bookmark the permalink. It won’t be long before the Chorale places another milestone on its resume, with MTT coming to town next weekend to conduct the LA Phil and the Chorale in Beethoven’s Missa Solemnis. Just one of those can’t miss concerts, which I can’t wait to hear. Looking forward to it too. Going on Sunday. How about you? Terrace Row N, #s 106 & 107. Not regular seats, just two that I got on the first day of availability. Regular Sun 2 seats in Terrace West, first row. Forgot to comment on MTT’s Missa. That video was worthless and the staging just distracted from the musicality. Biggest disappointment of the season so far.